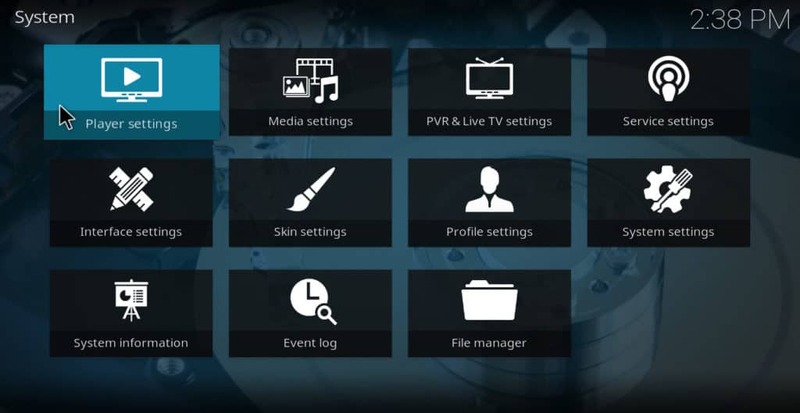 Kodi subtitles: the complete guide on how to install and use them. 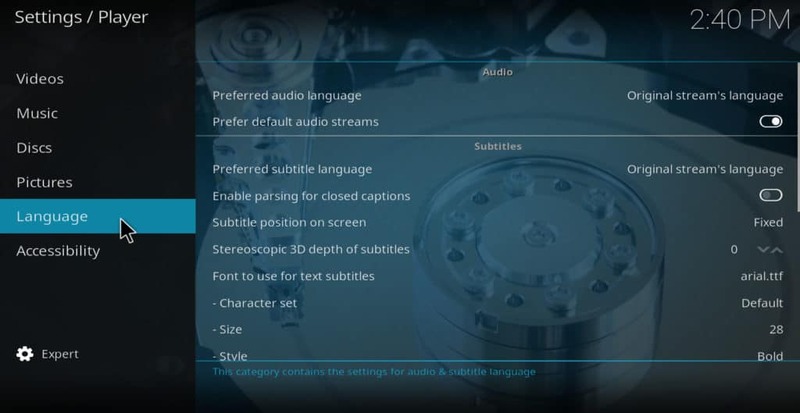 It isn’t obvious how to enable and use subtitles on the Kodi media player. 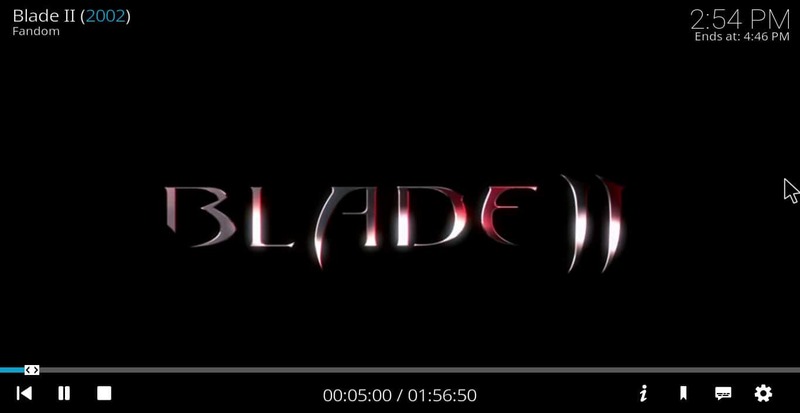 By default, clicking on “subtitles” during a movie brings up a dialogue box with the word “enabled” greyed-out. 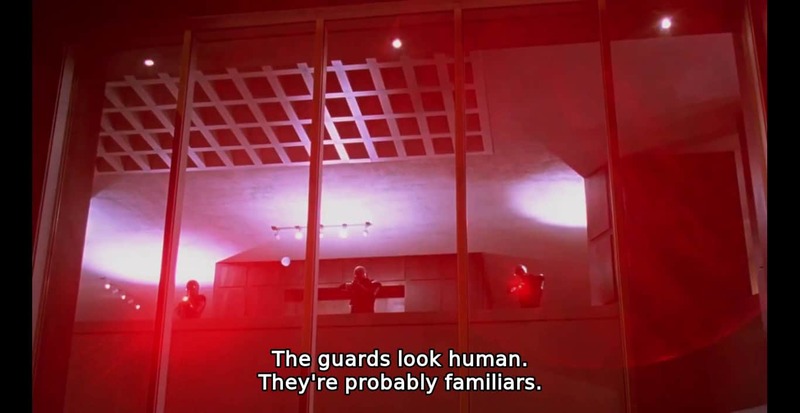 There is no way to directly change this from within a movie. Before attempting to install Kodi subtitles, it’s important to understand how to use Kodi safely. If you’ve used HBO Go, Netflix, or other streaming services in the past, you’ve probably trusted them to keep your data secure. But Kodi is not a streaming service. 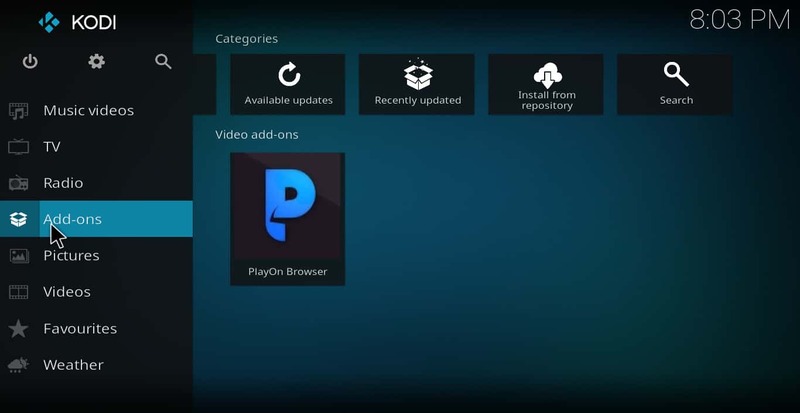 It is an open-source media player that simply shows you content from whatever website you point it to. In order to use it, you have to install addons created by other users. 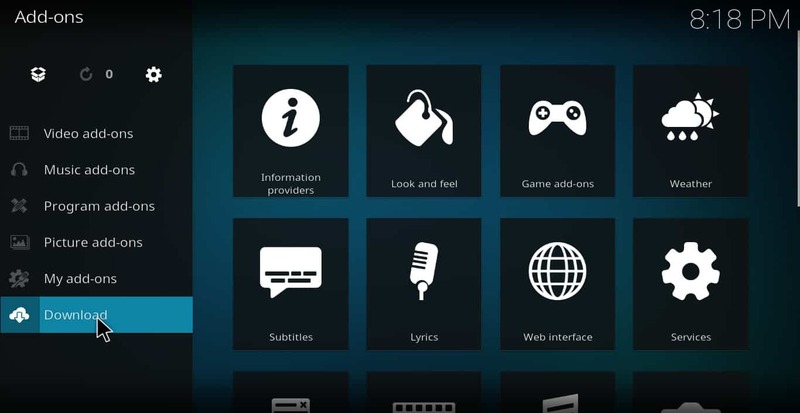 Even subtitles for Kodi are provided by other users and not by the content-creators themselves. Although we believe the subtitle addons we list in this article are safe, not all Kodi addons are. Indeed, even presumably safe addons can be hijacked. Some addons are held on unsecure servers or stream content that is unsecure. This makes them vulnerable to “man in the middle” attacks where a hacker could use the addon’s code to redirect traffic to his own network, stealing your data in the process. To make matters even more difficult for Kodi users, some ISPs have been known to throttle the internet speeds of customers who stream video. For example, Verizon has recently been accused of doing this to subscribers of Netflix. Because of these problems, it’s always best to use a VPN when streaming content with Kodi or when using subtitle add-ons. A VPN prevents “man in the middle” attacks by encrypting the data you are sending and receiving. Even if a hacker then manages to intercept your data, it isn’t readable. It also prevents your ISP from throttling your internet speed, since the provider has no way of knowing that you are streaming video. As a result, you generally get higher resolution and less choppy video. In a nutshell, using a VPN helps keep all of your Kodi activity private. This helps to prevent anyone from using knowledge about you to compromise your device, slow your internet speed, or otherwise mess with your life. Importantly this means your internet provider cannot snoop on your online activity and compromise your privacy. For Kodi users, we recommend IPVanish because it maintains its own servers, helping to prevent choppy video. It keeps no log files so your online activity stays private and is easy to install on all popular devices, including Amazon’s Fires Stick. You can read our full IPVanish review here or learn about a wider selection of Kodi friendly VPN services here. Now let’s discuss how to get subtitles working for Kodi. 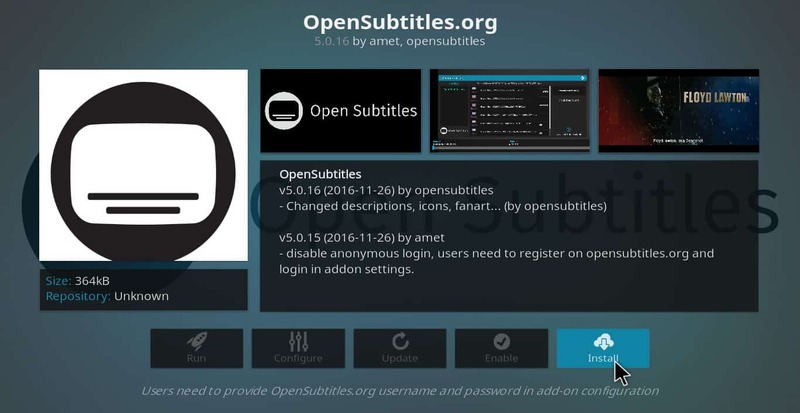 Note: When this article was first published in October of 2017, we recommended the OpenSubtitles Kodi addon as the best way to get subtitles to work on Kodi. However, this addon has not been updated recently, and some readers are now having trouble with it. For this reason, we currently recommend the following alternative method for getting subtitles to work. For users who still want to to use OpenSubtitles addon, the original instructions are at the end of this article. If you want to get subtitles working for Kodi, you’ve got to install an add-on that will display them for you. Here are the steps for doing so. That’s all there is to installing and using subtitles with Kodi. Here is a list of just some of the subtitle addons available. This app contains subtitles from subscene.com. It has lots of English subtitles, as well as Arabic, Indonesian, and Vietnamese ones. Overall, there are over 50 languages represented in Subscene’s collection of subtitle sets. 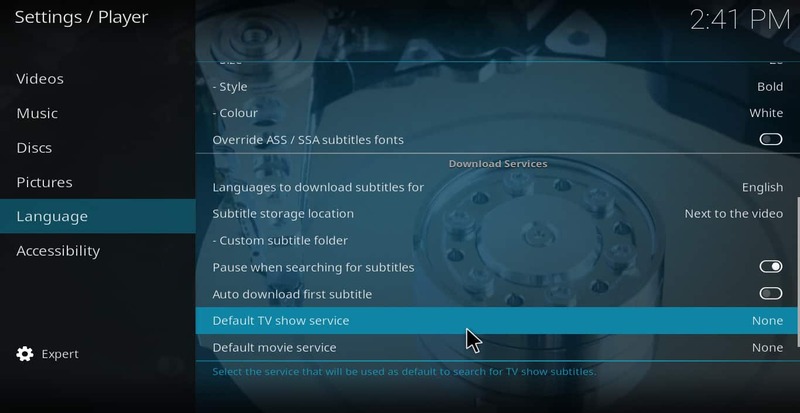 This add-on scans feliratok.info to find subtitles for your movie or show. It is especially known for having an accurate search function. Like opensubtitles.org, Podnapisi requires registration in order to use. However, it also has a huge collection of subtitles sets. In addition, the app developer is known to update it regularly, which is more than can be said for many subtitle add-ons. Unfortunately, this add-on is not available from the official kodi repository. So you have to add the SuperRepo repository in order to get it. It might be worth it though given it sometimes has more accurate subtitles than subscene. Divxplanet scans sets from PlanetDP.org until it finds one that fits your movie or show. Like Podnapisi, it is known for being updated regularly. BS Player started off as a video media player way back in the year 2000. Over time, it developed a huge database of subtitles for movies and shows. 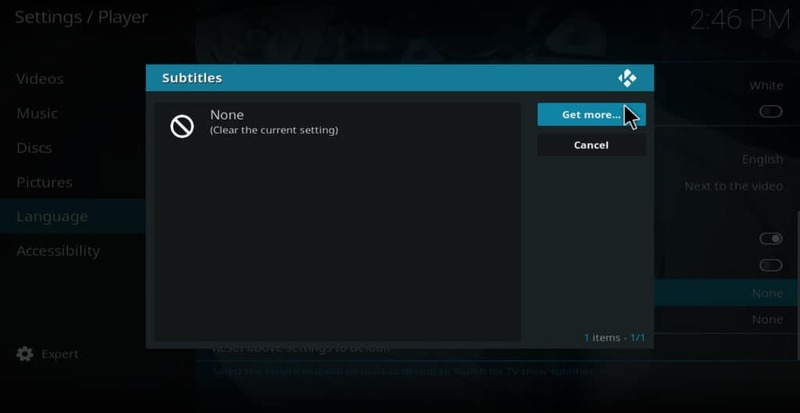 The Kodi BS Player add-on allows you to access this database. 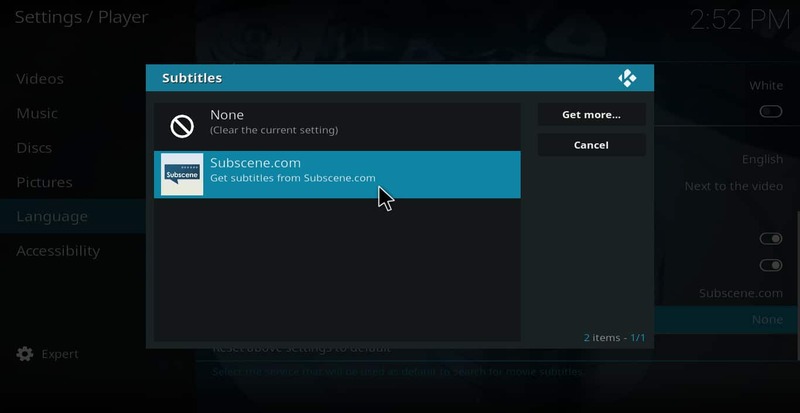 Since the media player itself has over 70,000 users contributing to it, accessing this database can be very helpful for those times when subscene doesn’t have what you’re looking for. 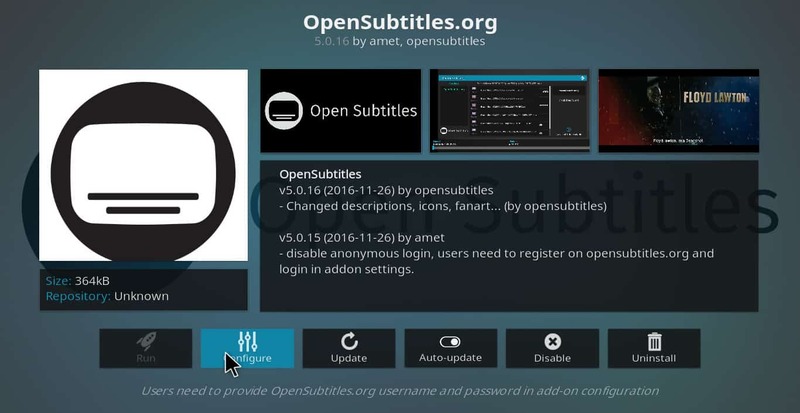 How to install OpenSubtitles Kodi add-on. Note: This is the method of installing subtitles we originally recommended. We now recommend the previous method instead of this one. We include these instructions for users who still want to use this method. 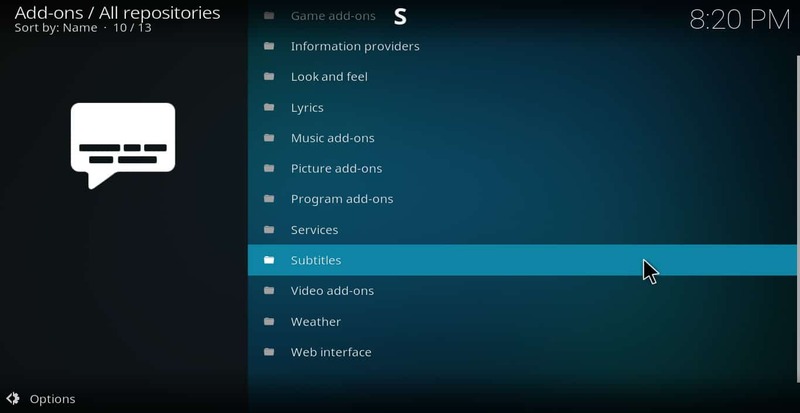 There are many different add-ons you can use to get subtitles for Kodi. But to keep things simple, I’m going to focus on OpenSubtitles. 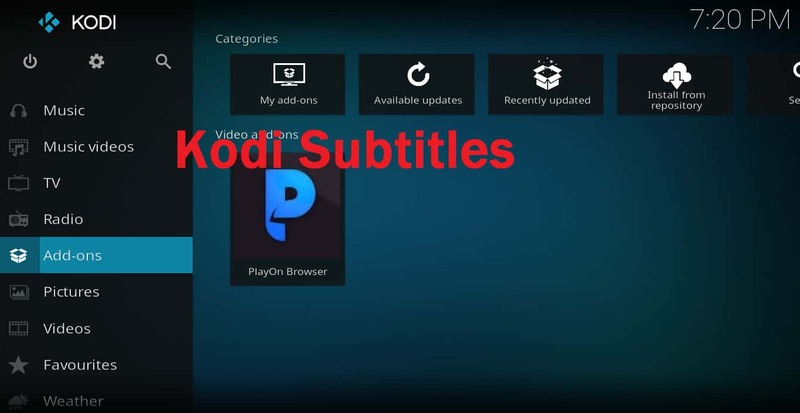 It is the most popular subtitle add-on for Kodi. Before you can install this add-on, you have to register your e-mail address with the app developer. Go here to do that. They use a captcha on the page to stop bots, so make sure you turn your pop-up blocker off or you’ll just get an error message. There’s no charge for the add-on. They just require registration. Step 2 – Install the add-on. Click “install.” You’ll get a message saying that opensubtitles.org has been installed. Step 3 – Configure the add-on. 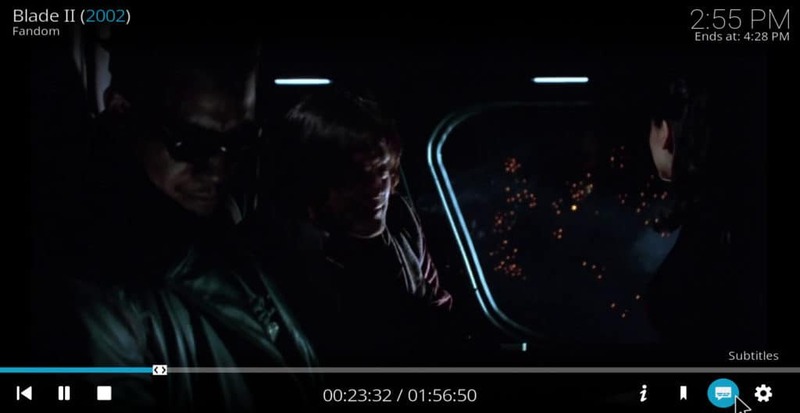 Click on “opensubtitles.org” again. This time, the other buttons will be available. Click on “configure” and put in the username and password you created during Step 1. Now the opensubtitles.org add-on is ready to go. 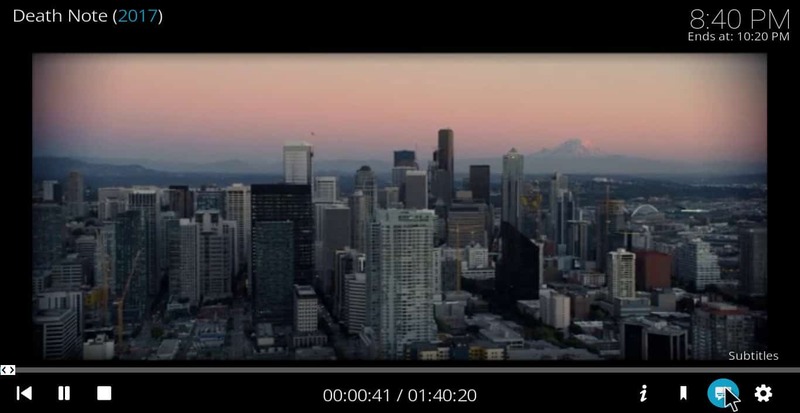 Step 4 – Enable subtitles from within your movie. While watching your movie, click “subtitles.” A box will open with a few options. Click “download.” After searching for a few seconds, you’ll see a list of subtitles sets. Each set of subtitles is rated by the users on a scale of one to five. So in most cases, the four or five star ones are the most accurate. 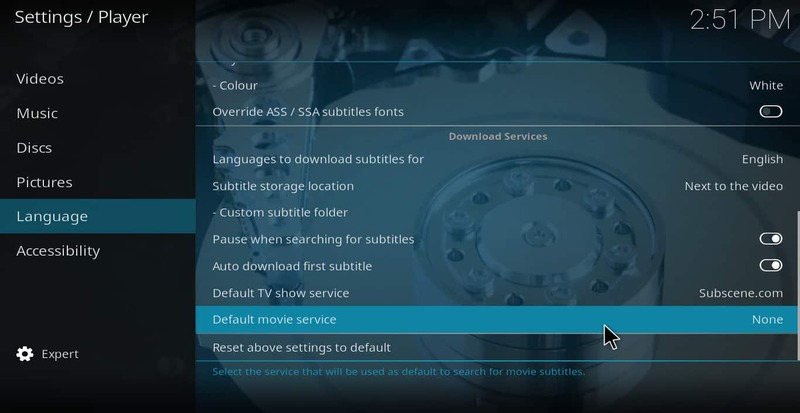 Step 5 – Enjoy your movie with Kodi subtitles working. That’s it. That’s all you need to do to enjoy your movie with subtitles. By default, only subtitles in the original language load. If you’re watching a foreign movie and want the subtitles to be in a different language than the original, see below. How to get Kodi subtitles in a different language than the movie’s original. To change the language that the subtitles are in, start at the main menu. From there, click on the gear icon and then go to player settings → language → preferred subtitle language. Select the language you want the subtitles to be in. How to fix tracking issues in subtitles. A control will appear on the screen that you can use to adjust the timing of the subtitles so they fit the audio. How to setup Kodi subtitles to automatically download. If you use subtitles a lot and are tired of constantly having to set them up every time you watch a movie, you can add another app that will automatically open the subtitles download menu each time you start a movie. That way, the only further step you will have to take is to choose a particular subtitle set. To do this, click add-ons→ download → services → autosub. 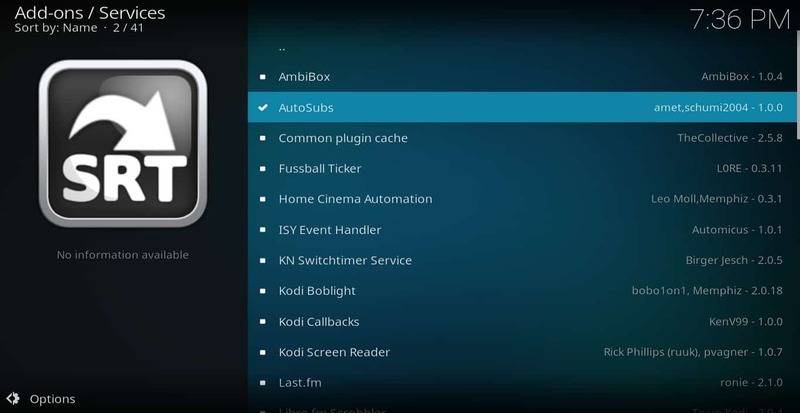 Install the autosub add-on just like you would any other. 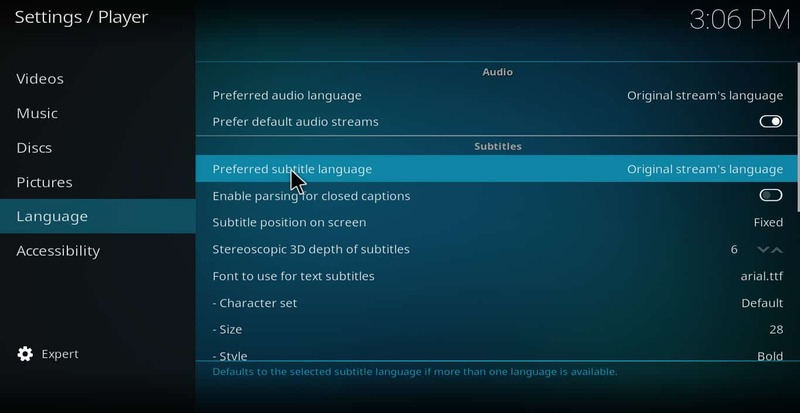 Subtitles can sometimes be difficult to use in Kodi if you don’t already know how to use them, and there are a lot of options provided. But regardless of which subtitles add-on you choose to use, follow the steps laid out in this guide and you should have no problem getting them to work.